Happy New Year and welcome to the Topretirements Best Places Newsletter for January 3. 55Places.com Names Their Top Community of the Year! 55Places.com announces Valencia Lakes as the 2017 active adult community of the year! Find out why here. Located in extreme southwestern Utah, the town is set below spectacular red rock bluffs. One of the most popular places to retire in the Southwest, St. George has a mild climate in winter and terrific recreational opportunities like exploring nearby Zion National Park. Topretirements just got back from a scouting trip to Santa Fe, New Mexico. 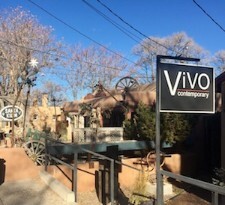 We found it be a very impressive place with top notch art, architecture, and outdoor experiences. 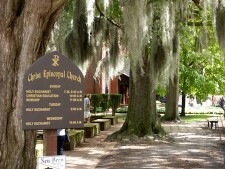 This old city on Florida&apos;s northern Atlantic coast has one of the richest heritages of any American city. 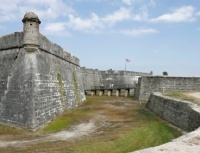 There is an old fort from the 1600&apos;s. It has been under 4 flags (Spain, England, Confederate, USA - some more than once!). There are plenty of active communities in the area too. It&apos;s interesting to look back and see which of our 2017 articles were the most interesting to you. It turns out, with just one exception, that different variations of "best place to retire" are the favorites. Read on to get links to the top 10, including the lone outlier.